This product is stocked in our North Carolina warehouse only which may require multiple shipments. Sportsman Series Accu-Flex Bird Mannikins are made with rigid urethane foam in the bodies (for additional stability and more secure wiring) with pre-attached Accu-Flex flexible foam necks. The anatomically accurate mannikins clearly show the wire insertion points for perfect bird mounts every time! Necks include pre-installed wire. Can be used with either natural skulls or artificial bird heads. 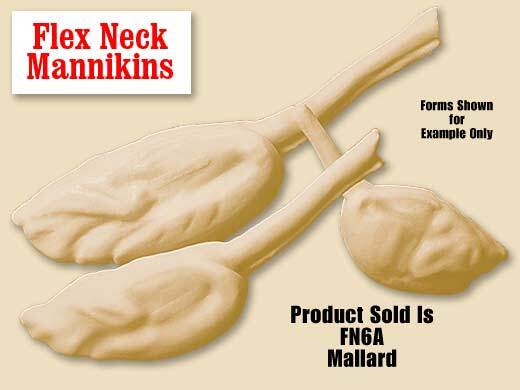 Mannikin has straight neck which can be bent to accommodate a standing pose. Note: Ships from North Carolina Distribution Center.